This is the 19th article from 中文天天读. “嘛” is an auxiliary word used after the subject to introduce a pause, emphasize the subject and draw the other party’s attention. As to hotels, they are also 贼多(numerous). “贼” in “贼多” doesn’t mean thief, but very, quite. 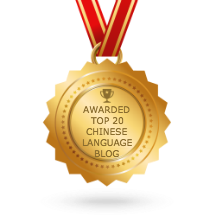 “不是A而是B” means a negation of A and an approval of B. “贼” in “贼多” doesn’t mean “thief”, but “very, quite”. “贼” [zei] means a thief. Then what does “贼多”[zei dou] mean? Just one question regarding 中文天天读-19 & 20, they are exactly the same, would it be possible to correct this? thanks, keep up the great work!! I think I accidentally overwrote this post. I have updated to 19.